In the long run, a valuable, thriving and living resource will exist, at the service of the international community, powerful enough to break barriers and to be a force for good. 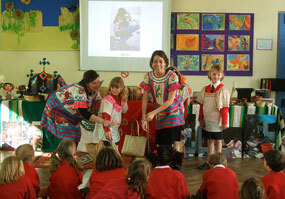 To this end, we hope eventually to establish Mexicolore as a registered Educational Trust in the UK. Armando Altamira-Areyán, a Mexican postgraduate student in the US, who has generously translated several of our site pages into Spanish. ¡Muchas gracias, Armando! For now, let’s introduce you to our first Research Officer, Julia Flood. You may well have seen some of Julia’s beautifully produced articles around the website, most of which are available as downloads. Julia obtained her MA in pre-Hispanic and colonial history at Mexico’s UNAM university, and has studied with Dr. Miguel Portilla, Dra. Mercedes de la Garza and Dr. Alfredo López Austin. We’re most grateful to Julia for her multiple contributions to Mexicolore’s work. In one recent 3-month period alone we opened our pages to fresh articles written exclusively for us on subjects ranging from the Aztecs and the tradition of lament (by an Anglican bishop), the ‘maquahuitl’ (Aztec broadsword) (by a London-based craftsman) to Aztec concepts of the human body as they relate to birth and destiny (by a doctoral candidate at the University of California). Thanks to them all...! 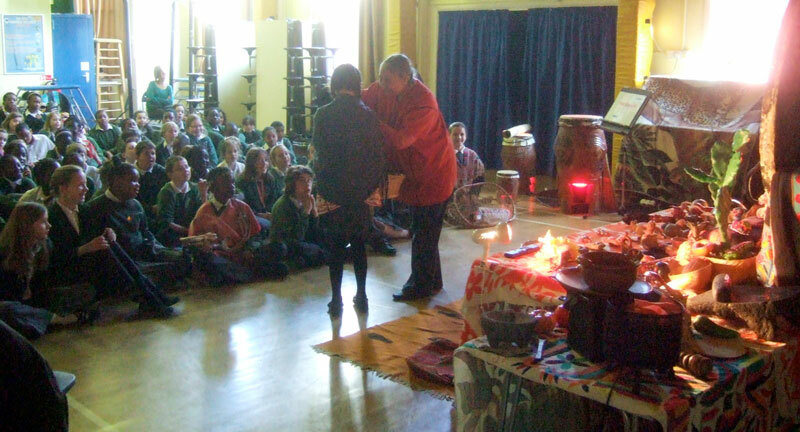 *In 2012 we were invited to run an Aztecs workshop at Preston Park Primary School, Wembley Park, London with 120 Year 4 children by teacher Louise Camprubi: when Louise heard a colleague recommend us she exclaimed ‘Oh, I remember them from when I was in Year 4 at Bishop Winnington-Ingram School [in Ruislip]’ - 14 years ago! She recalled the 1998 session as ‘colourful’ and ‘exciting’. 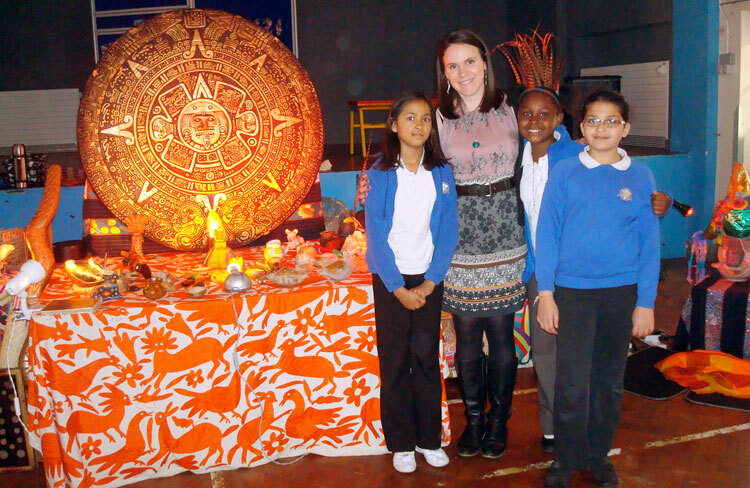 Louise described the educational value of the Aztecs workshop in 2012 as ‘exceptional - the children were engaged and excited to learn more about the Aztecs!’ You can read Louise’s generous personal comment on the experience on our Teachers Page (link below). Have just discovered your fantastic web site. I think it is an excellent teaching aid and will be extremely useful here in El Salvador were we share a common heritage with the Nahua culture in Mexico. 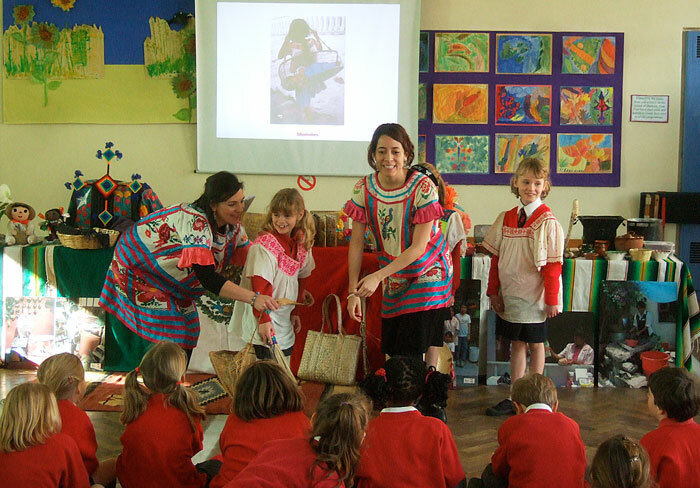 I am English and help teach the Nahua-Pipil language and culture to 5th grade students. As little attention is given to indigenous culture, here, it has always been a struggle to find suitable material. So thank you and all the best. We would love to get involved and are at your services. Please contact us for further details. Again, great site and keep up the good work! Mexicolore replies: Hola Antonio. Interesante tu trabajo... Por favor, sigue informándonos del proyecto. Si algún día se llega a usar como recurso pedagógico para niños/jóvenes, estaremos super interesados. Muchos saludos y buena suerte. Hola, me ha agradado mucho su página. Soy etnohistoriador (ENAH-INAH) en México, dedicado al estudio del sacrificio humano y a la historia de la infancia mesoamericana y me pongo a sus órdenes para apoyarlos en lo que necesiten. Saludos. Felicidades por su página! Creo que es muy importante la difusión de la cultura y considero que esta es una muy buena forma de hacerlo. Soy mexicana y pertenecí al ballet folclórico de mi estado. Actualmente vivo en Oxford y me gustaría formar parte de Mexicolore. Wow!!! Your page is really amazing. I’m mexican and I’m very happy to see that there still people interested in mesoamerican culture and especially in Aztec civilization. I love you guys and I wish you the best!!! Mexicolore replies: Cheers, Emmanuel - that’s what we like to hear! Mexicolore replies: Gracias por escribir, Antonio. No entiendo tu dato sobre Cuitlahuac - ¡el nombre de él está escrito en el monumento mismo! the time we learn, we teach people to dance. I’m very Thankfull that some people are interested in our culture roots. I’m glad I found your page ! Mexicolore replies: We don’t have an e-newsletter, Walter, yet... Best advice for the moment is to keep visiting our site. We’ll do our best to keep you posted. Thanks for your kind comment!